Produced in concrete ovoid tanks with a cold maceration for 48 hours. 7-day fermentation with native yeasts. Total maceration 21 days. Aged in french (50%) oak for 12 months. In bottle for 6 months. Aging potential: 5 years. Produced in concrete ovoid tanks with a cold maceration for 48 hours. 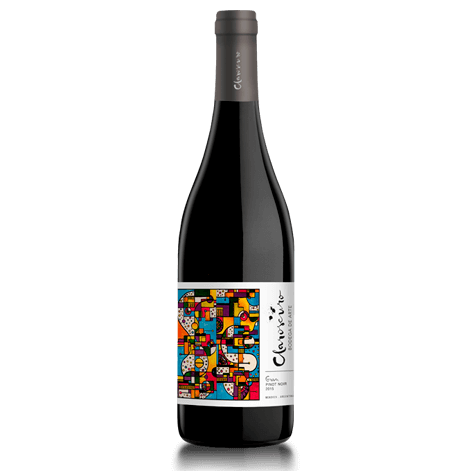 7-day fermentation with native yeasts to preserve the influence of its terroir. Total maceration 21 days. Aging: aged in French oak (50%) for 12 months. In bottle for 6 months. Suitable for 5 years aging. Typical characteristics of pinot noir: vivacious red colors. Marked aromas of strawberries and spices like oregano and thyme. Of great freshness in the mouth due to its balance between acidity and structure. Smooth and complex at the same time. “Conversación Monstruosa” by Melina Saredo.